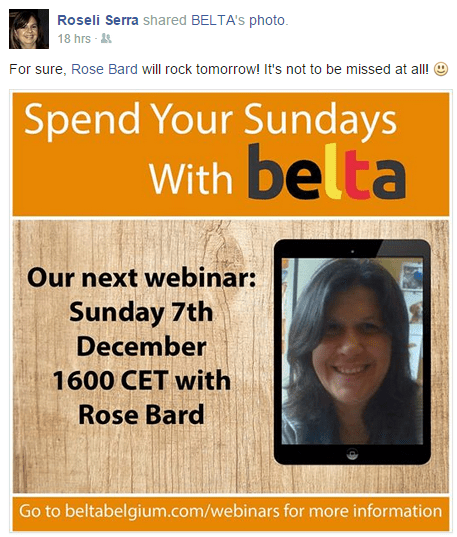 Our next Sunday With BELTA webinar is this weekend. This time we’ll be joined by Rose Bard at 1600 CET for “Listening With Both Ears”. 2014 has been a landmark year for open badges. We kicked off the Badge Alliance to service the growing open badges ecosystem through action-oriented working groups and tackled salient issues collaboratively. During this live session, we’ll review the accomplishments of several of the working groups, including research, standard, endorsement, and directory. We’ll learn about the objectives each working group set out to accomplish within the 6 month cycle and the process it took in order to reach those goals. This session is intended to be collabortive and we invite the audience to engage with questions and feedback. 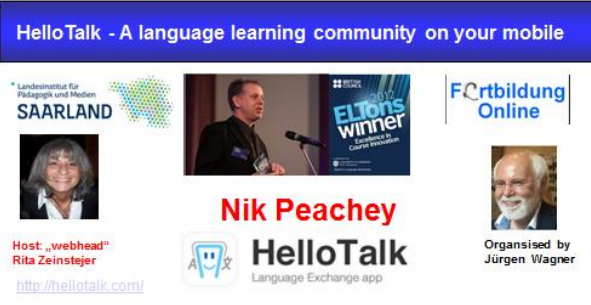 And as always, we look forward to your ongoing participation in the Open Badges MOOC! You are welcome to continue to use the MOOC resources (badges.coursesites.com) and submit challenge assignments for review by our experts. You’ll also find an extremely useful set of resources on the Reconnect Learning site. 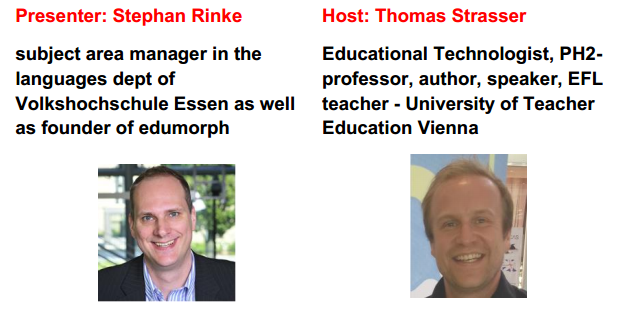 Sign up for a free webinar hosted by one of our edWeb professional learning communities. Our PLCs offer free webinars, live chats, and online discussions. You’ll earn a free CE certificate for attending a live webinar – or watching the recording. A review of basic skills, tips and tactics to managing an online course effectively. Research shows that optimists are sick less, recover from illness faster, earn higher income, achieve higher GPAs, have stronger immune systems, suffer from depression less, have lower rates of divorce, and a whole host of other benefits. This workshop will review current methods in the Positive Psychology movement to increase a positive mindset.